We know we feel better after we let ourselves go and dance our hearts out with our mates, but now studies are showing us why. Dancing is exercise, exercise releases endorphins which make you HAPPY! Dancing can often happen in social situations with friends or family or even strangers, which helps connect us with others and creates community. 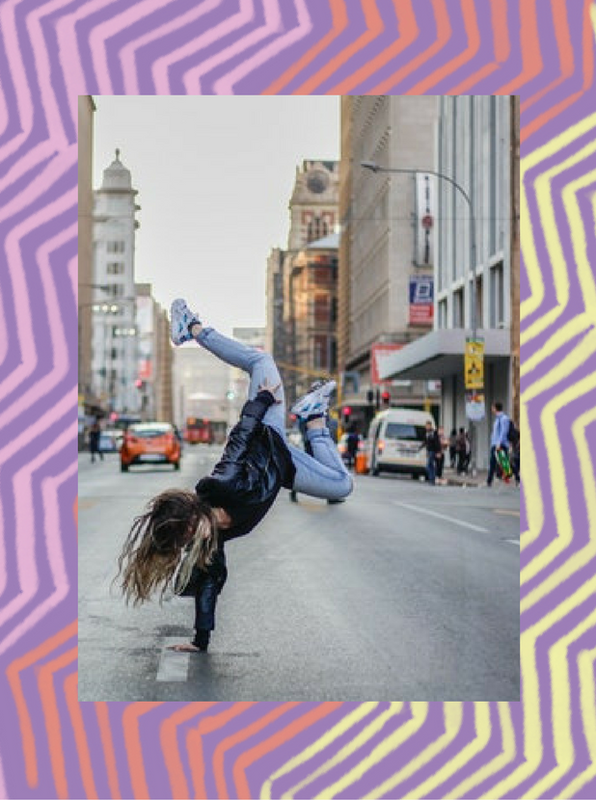 Synchronised and high energy dancing in particular releases a bonding hormone called Oxytocin (AKA the 'happy' or 'love hormone) - which makes you feel amaze! Dancing can help your body release negative experiences and tension. Many people say that the freedom of expression in dance helps them discharge the energy and intense emotion that comes from having survived something very stressful or traumatic. Because science tells us the memory of trauma (stressful experience) lives in the body, not the mind, it makes sense to use our bodies to express it and release it. Another reason dance is so powerful is that is helps us connect, appreciate and celebrate our bodies. Let’s face it, as women we are raised in a society that tells us our body is pretty much our enemy and we should starve it and work it to make it thin and 'perfect'. Dance can help us feel good in our bodies, and that can protect us from all the bad feels we so often aim at our bodies, but which end up hurting our hearts, minds and souls. Put on your favourite songs and dance around your room girl! The more you dance the more comfortable you get with dancing. Find Youtube videos of people dancing to songs you like. We always get inspired by this classic get inspired by some of the awesome choreographers out there. Get involved in a flashmob like this one. Organise your own with school friends, or join the Auckland Flashmob group. Try out this amazing video game called Bound which guides you through dancing as a form of self-care and protection. Sign up for dance classes, there are lots around from hip hop to ballet. You don’t have to be 'a dancer' to get involved, give yourself permission to move any way that feels good to you. Sometimes learning some moves in a class will help you unleash the dancer within. Dancing is not just for 'dancers', dancing is for everyone, and it turns out, the more you do it the better you feel. So get on up girl!